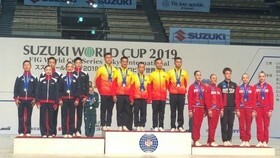 These events were selected via the website: http://sukienvhttdl.bvhttdl.gov.vn from January 3-8 and direct votes by representative of central and Hanoi press outlets following the submission of the culture, sports, and tourism departments of cities and provinces, and agencies of the ministry. 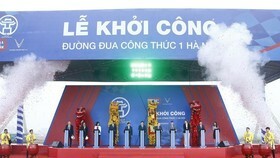 In the cultural sphere, five events are named, including Da Nang International Fireworks Festival 2018; Non Nuoc Cao Bang receiving UNESCO Global Geopark title; unique contemporary art space inside the National Assembly House; first-time awarding the title “People’s Artisan” in intangible cultural heritage; Vietnamese beauty earning a niche in the global map of beauty. 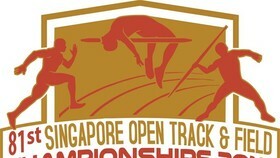 Three sports events were selected, namely Asian Games 18 – the most successful Asian Games of Vietnam’s sports sector; the national men’s team winning AFF Suzuki Cup after a decade; and Vietnam becoming the runner-up at the Asian Football Confederation (AFC) U23 Championship for the first time. 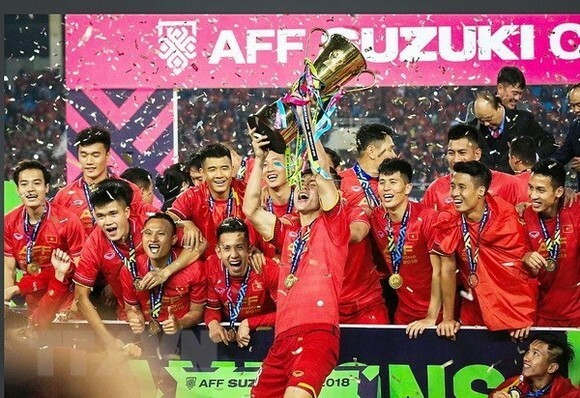 Meanwhile, there are two events in tourism, including Vietnam welcoming 15 million international visitors in 2018 and Vietnam winning the award for Asia’s Leading Destination at the 2018 World Travel Awards (WTA).